Who are our partners? How do they help? PAIT Group utilizes a network of select partnerships to ensure client needs are being addressed with products and services from trusted providers. Are you migrating file shares over to a new SharePoint deployment? Exploring organization-wide business process automation through workflow and forms? Keen on identifying and updating data for employees, customers, and vendors in your directories? Looking to connect and synchronize business-critical data sources, files, and applications within SharePoint? In need of Microsoft training and support options? Hyperfish enables organizations to automatically identify and populate missing information in directories, quickly and easily. 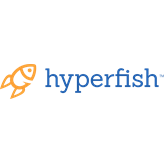 Utilizing next generation technologies like machine learning and Hyperbot, Hyperfish automates the process of collecting and keeping directory content fresh and up-to-date. Check out two of our case studies with Hyperfish! AvePoint is the Microsoft Cloud expert. Over 15,000 companies and 5 million cloud users worldwide trust AvePoint to accelerate the migration, management, and protection of their Office 365 and SharePoint data. Layer2 is a specialist for creating custom components and solutions for Microsoft SharePoint, Office 365, and Azure. The Layer2 Cloud Connector is a client favorite – it can connect on-premises data to SharePoint Online without code and boasts 100+ local or cloud based data sources! Combined Knowledge has specialized in the development and delivery of SharePoint Education and Support since 2003. Classes, videos, and step-by-step tutorials are provided in a wide range of formats including public and private courses, workshops and self-support products on a global basis. The short video clips can be added to the SharePoint & Office 365 ribbon. With context-relevant content provided on a single click, you no longer have to go searching to find what you need. UnlimitedViz is the maker of tyGraph. They build intelligent analytics for Yammer and O365 and administration and management tools for O365 groups. This includes TyGraph for Yammer, Pulse, SharePoint, and, coming soon, Microsoft Teams. PAIT Group is proud to partner with Powell Software to offer Powell 365 for intranet solutions. By taking advantage of Powell 365, our clients can deploy their intranet faster, with little or no time needed for custom development, and less time needed for design and testing. Powell 365: An intranet with optimum user experience to develop communication and collaboration between your teams. Lightning Tools is a leading global provider of Microsoft SharePoint tools. Their product range covers all versions of Microsoft SharePoint On-Premises as well as SharePoint Online for Office 365. Lighting Tools is a specialist in BCS tooling, SharePoint permissions management, SharePoint content rollup, discussion forum, charting, and data visualization.